Is it blamestorming time already? 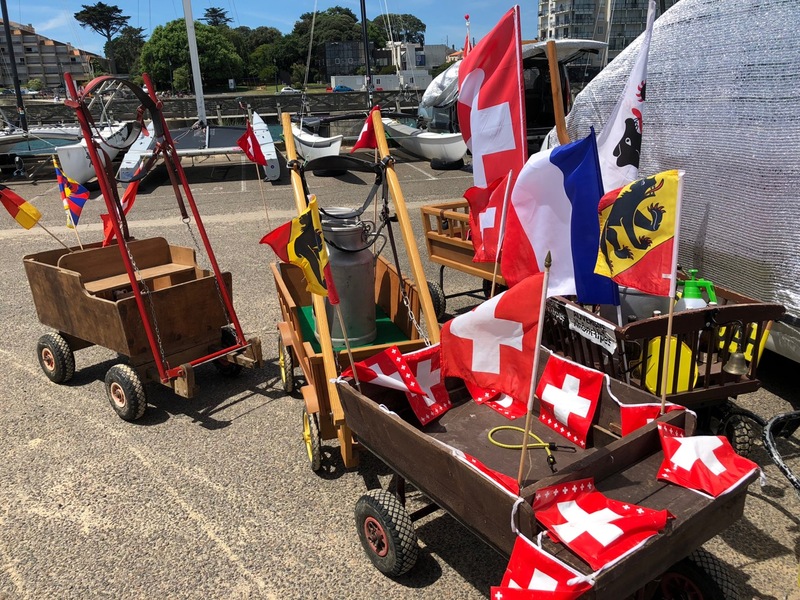 The GGR fleet may only have been at sea for a few days, but the sins we were unable to rectify in Les Sables are already making their presence felt. 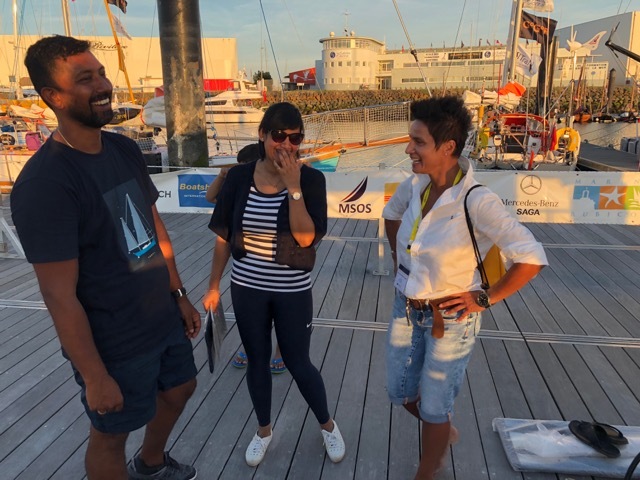 We spent ten days in Les Sables providing hands-on support to five Windpilot sailors and fixing the mistakes, some of them quite serious, that many months of communication ahead of the start had not been able to prevent. 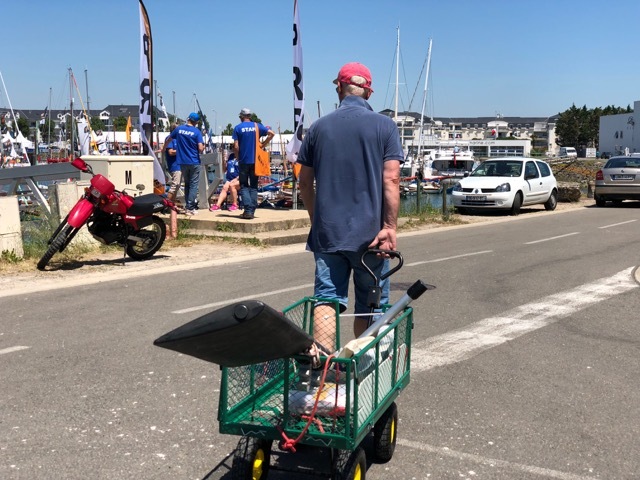 The simple method for diagnosing and correcting problems on which I have relied for decades – communication and photos/videos from the owner of key components in action – obviously wasn’t cutting it in the GGR world, so we loaded up and headed for the French coast. 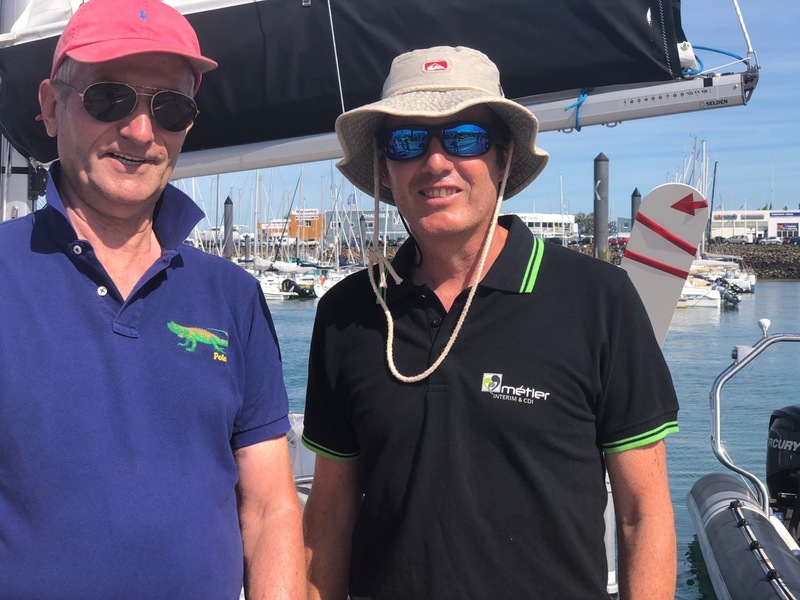 We were confident that if we only had the chance to sit down with the skippers on their own boat and talk, we would be able to impart to them the knowledge they were going to need. 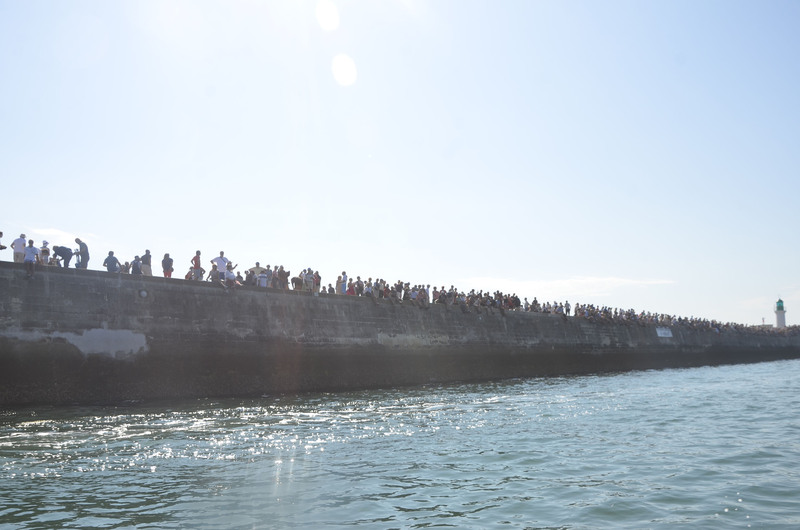 It was now or never, of course: once the race had started, the lines of communication would be cut for the duration. The situation could hardly have been more serious! 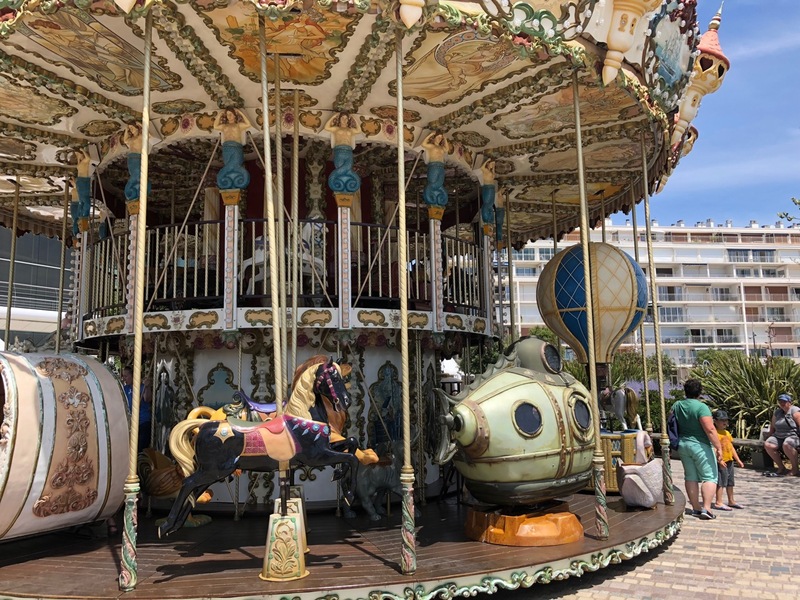 Knowing that Antoine potentially had some self-steering issues, we took care to schedule some testing at sea in advance. Unfortunately our original arrangement was postponed after we had arrived and in the end we were not able to carry out the tests we had planned. 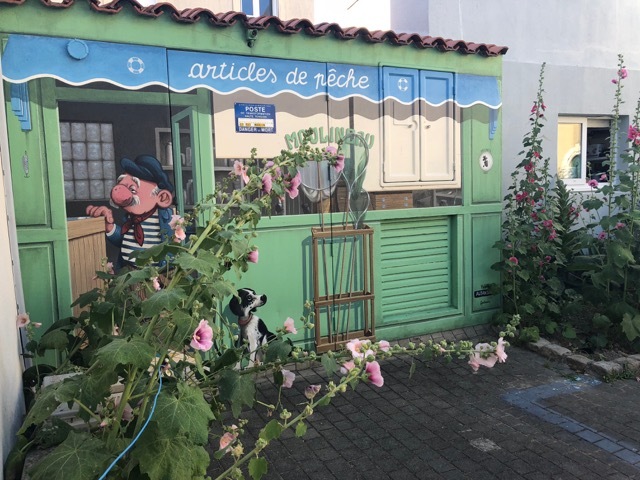 We did manage to complete our shore-based work on Antoine’s boat, but he was called away repeatedly during this time so didn’t have the chance to see much of what we were doing. Basically we had the run of the boat and were invited to help ourselves to/search around for whatever we needed from his on-board supplies. Once we had finished, we reminded Antoine and his manager, Arnoud-Félix Miailhe, of the key points to bear in mind when using the system and explained what we had done to correct the arrangement of the transmission lines. 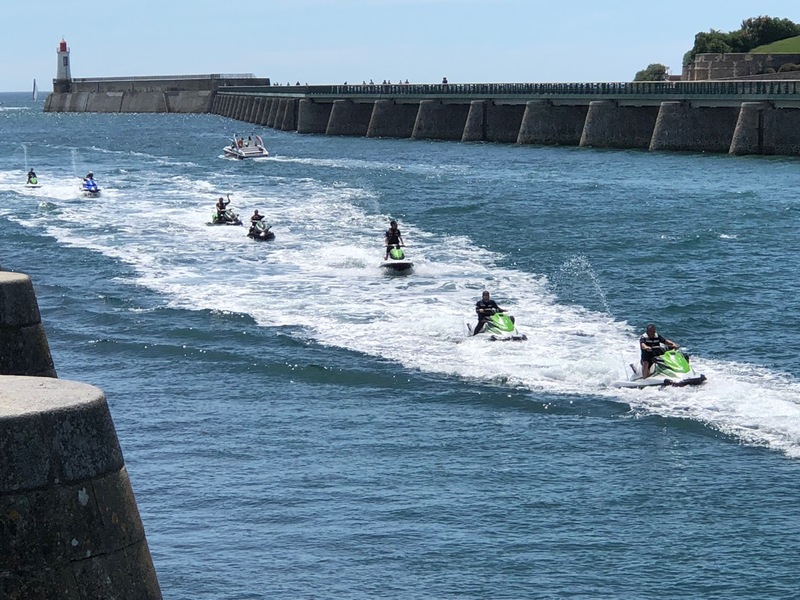 Sadly we were not able to head out for a proper sea trial with Antoine, whose time on the water over this period was fully occupied with taking out visitors. 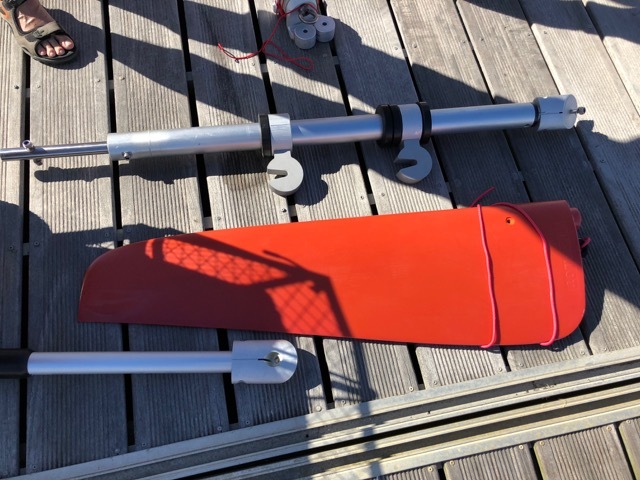 This was a pity, as Antoine had not really used windvane self-steering before and a video he had sent me previously, accompanied by a message to the effect that the system was working very well, showed the push rod loose and moving back and forth without any effect on the pendulum rudder. Istvan received his Windpilot 18 months before the start, but I didn’t have the opportunity to look over his installation until some time later, when I managed to unearth some photos on his Facebook page. These revealed a number of issues that I was keen to see fixed and I contacted him several times, most recently in November 2017, to let him know what needed to be improved. Thereafter we only discussed the emergency rudder required by the organiser, delivery of which was arranged for when Istvan arrived in the UK. Jimmy gave me your contact, as you see this below and I have been in a dilemma to pick the right wind vane since I want to win The Golden Globe 2018 :-). Hydrovane got my attention but I do not like its fix rudder blade or the difficulty to replace it in case of trouble. My budget is the other factor, I have been in sponsor hunt and lost my job due to my enrollment in this “crazy” race, in 2018. Could you advise me regarding your product and terms, please? My plan is to sail to England, late summer 2017, since I got a free slip there till the start (June 14th, 2018). 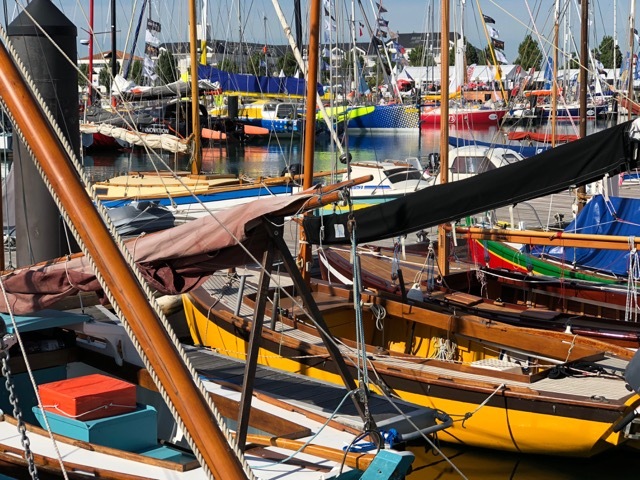 Don’t you want to exhibit your product in the Annapolis Boat Show, this October, by chance? 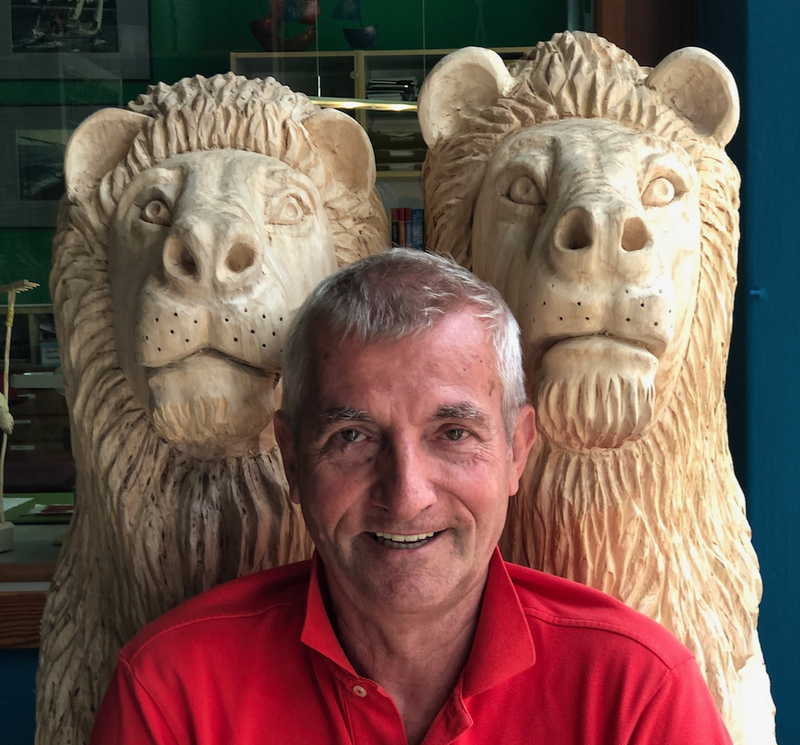 Istvan is on his 18th day of crossing the Atlantic from Bermuda and he has been having great difficulty with the Windpilot. Apparently it is not holding a course to weather an seems to be regularly failing to steer at all. My communications are quite limited with Istvan as we can only communicate with short texts. However, he asks if you could possibly meet him in Southampton, UK to help resolve the problems he is having. He says that if you cannot meet him he will have to make arrangements to get a different system altogether as he has very limited time before the race and obviously must have full confidence in this most-important system prior to the start of the race. He should be in to Hamble Yacht Services in Southampton, UK in about a week. I will keep you posted. 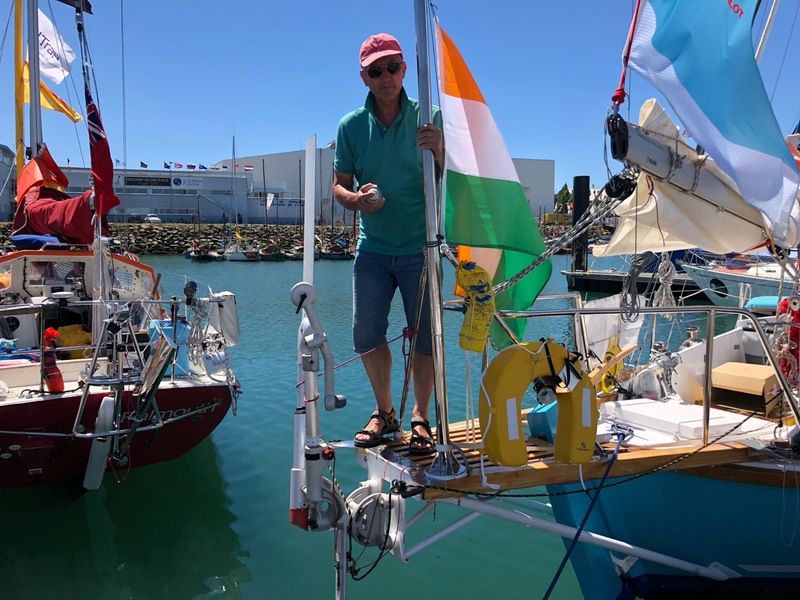 … the Windpilot weather vane steering system proved very reliable at holding a course once we figured out how to set it accurately and then adjust it accurately—it clearly has some real advantages over the steering system he used on his first solo circumnavigation in 1990-91. Why didn´t you sent an email with pictures / questions from Bermuda? The question raises: what faults have been made. What went wrong since Bermuda? The manual is helpful normally. There was so much time to discuss and resolve ANYTHING …. and pictures would have enlightened any lack of adjustments, but on my message of 22.of nov 2017 I did not get pictures at all. 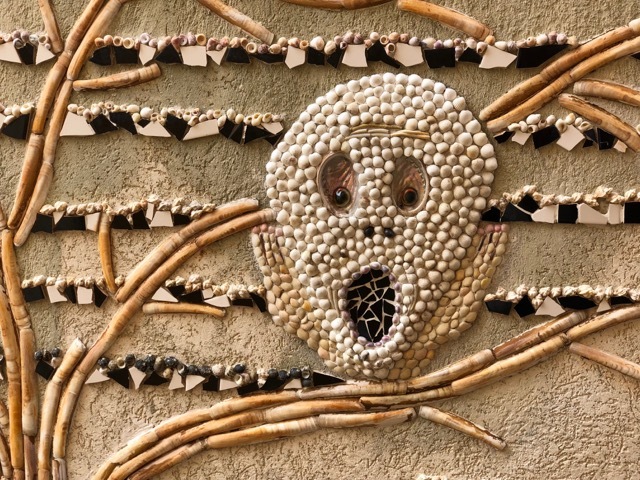 These important comments are part of the manual – if one of this has been disregarded…. the unit will fail to operate. 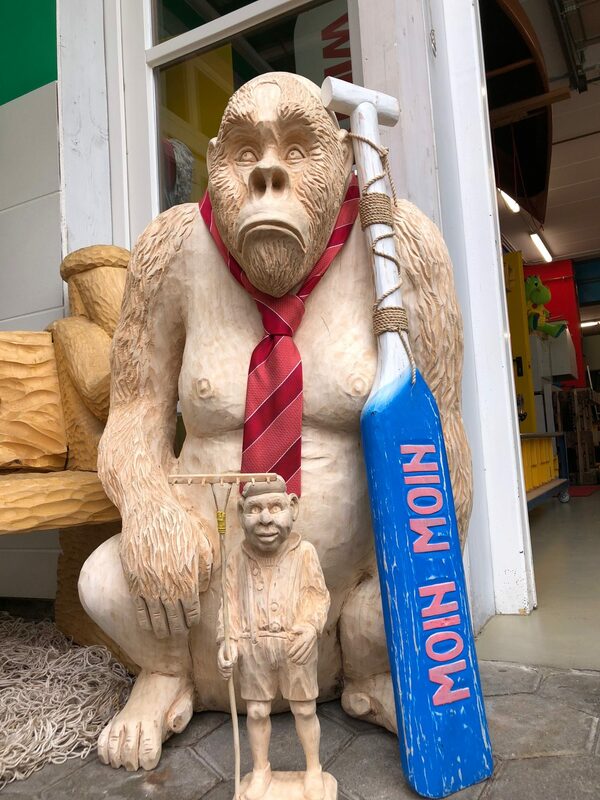 We are in the middle of our peak season, unable to come to Southampton … to find out reasons that will explain itself otherwise via pictures so easily. 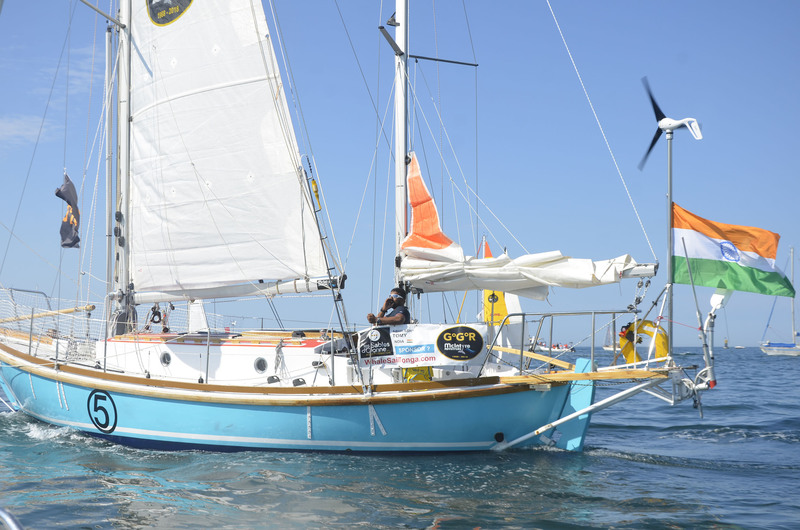 I will be in Les Sables around 20th of june. 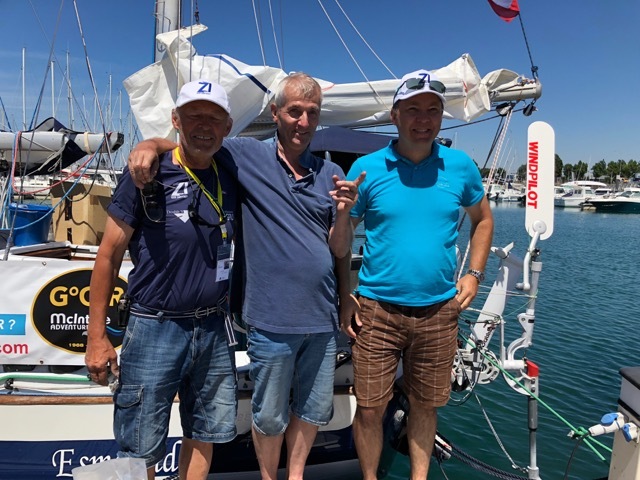 May I suggest to ask Istvan to send a full set of pictures about the situation showing any details and in particular a short video during sailing. IMPORTANT: please ensure the camera focussing at any details in one view – for example outside / forward of the cockpit, enabling me to see operation of vane and turn on the wheel simultanuously. Also picture about positioning of pendulum rudder in rudder fork. Certainly you will understand that a change of units at this time prior to the race is not what I would appreciate in particular due to the long preparation period …. and lack of communication over months. A vane gear like this is not effecting miracles… but following physical rules only…. carefully set and tuned … there will be no reason why it should not do a proper job…. I have been in this race prep full time since 2015 but the race requirements have changed a lot since then. More and more load; labor wise and financially were put on the competitors. I tried everything to catch up, we sold our home and downsized our living standard big time and spent significant time with sponsor hunt. This have been very frustrating and challenging, especially in the US and as a result the other 2 US entrant withdrew. The weather was not helpful either in NY with several snow storms and unexpected extended winter, so I had zero time to focus on the wind vane. We got further last minute changes on the requested safety equipment from the race management in April and I rushed to comply with them and shoved everything what I got into the boat by April 29th without any testing. As a result I had no working Satellite phone, HF radio and even my wind generator failed to charge. 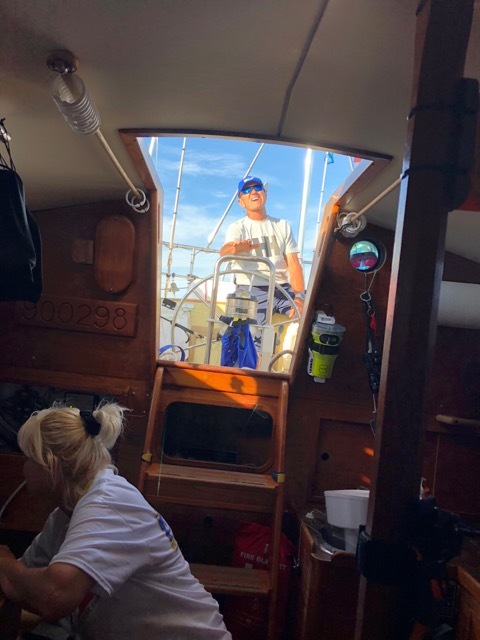 Luckily we sailed with my team manager Ian on the first 700 miles to Bermuda so I was able to spend 1 day there to do some changes on the Windpilot. But it was obviously still not the optimal set up and my solo crossing was everything but fun. I made pictures and videos from the Windpilot what I could not fwd to you due to lack of communication. I had a real challenging approach to Solent with no wind or wind from the nose in very thick fog with huge shipping traffic, tidal streams and with a lot of sleepless hours at the wheel. With God’s help I made it. I am now in a very helpful marina but the WIFI is available just in the coffee shop between 8-4. I do have other several issues with the boat what I have to take care of beside the Windpilot. Consequently I would appreciate a far more friendly cooperation and attitude in our communication. I will be sending pics and videos ASAP. Istvan, cooperation was and is my main and only concern since the beginning of our joint cooperation…and I never stopped to provide support, as you may easily read in my message. And, as a sailor for myself, you may bet that my focus is clear and straight about the multi challenges the GGR will load to any of your shoulders. If my assumptions regarding the rope around the wheel adaptor are right, we have identified your problem … unfortunately at this late time. and a kind and peaceful attitude of course will be appreciated from both sides… as otherwise cooperation will be impossible. Take a deep sleep and wake up next day … and lets solve the probs one by one. without dialog nor a video taken as requested in my message of 26.th of may ( panorama view showing both wheel and wind vane movement at the same time ) you leave assumptions entirely to my shoulders, not very effective as we can see here as its like poking in the fog. Is it possible that you did not locked the centre of the wheel transmission rope between both inner castings???? If you failed to do this, there will be hardly enough friction to ensure correct transfer due to constant slip whenever the pulling rope will give even for any single millimeter. 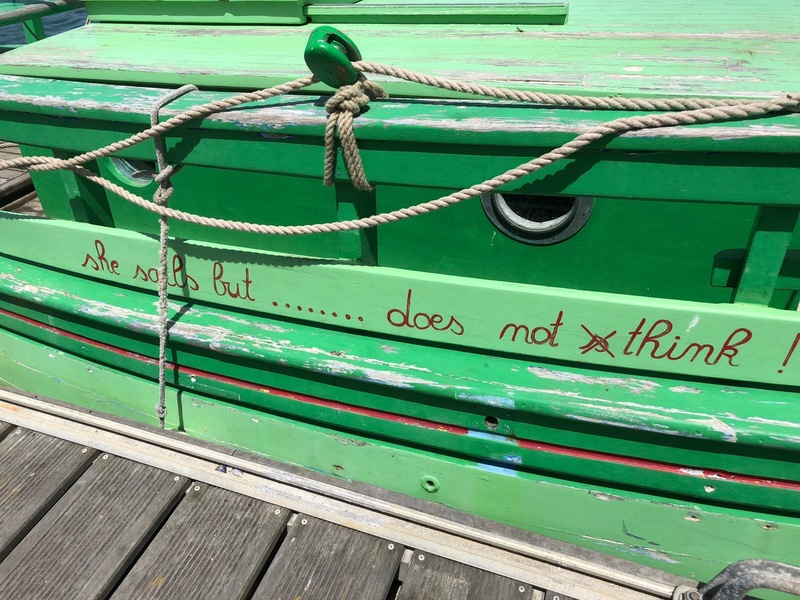 If PULL does happen EQUAL on both side of the wheel, this might be acceptable … NEVER however on a vane gear acting via pull at one rope only …while the boat will tend to the weather side on its own… followed by slack at the other rope. One of your videos show sudden erratic movement at the wheel … might be a proof of my assumptions. Installation and transfer otherwise is without complaints. Neither me nor a Windpilot will be able to effect miracles…. carefully and correct set however … it will follow simple physical rules … that any of us will have to respect. I haven’t heard from you in a while and I haven’t yet had any response to my questions of last week about the problem with the set-up of the wheel adaptor. Was the wheel adaptor set up wrong? 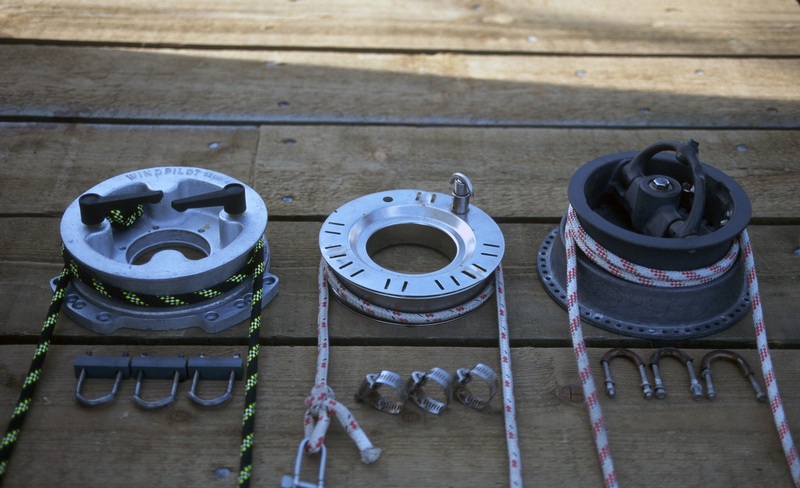 Did locking the rope properly inside the wheel adaptor solve the problem and were you able to use the Windpilot effectively on your way to Falmouth? I hope so, but if not, I really need the details and video clip that I requested in order to help you get the system working as it should. Ian (Gumprecht) mentioned in an e-mail that you would be replacing the Windpilot if I couldn’t meet you in Southampton. I hope this wasn’t intended as the ultimatum it sounded like: I’m afraid I cannot possibly disappear to England at short notice at such a busy time of the year and in any case that shouldn’t be necessary. If you haven’t resolved the problem already, please just send me the details and video described and I will give you all the support I can from here. I appreciate that you will have a lot going on at the moment and I am ready to support you as I can, but please understand that I cannot do anything more to move things forward without the requested input from you. I would also appreciate a prompt response to my offer regarding the SOS rudder. Istvan did the fine tuning on the windpilot and it seems to be functioning properly. He has the video and we will be emailing that to you shortly (this morning). Yes please, and thank you, Istvan definitely would like to accept your offer of the SOS rudder. 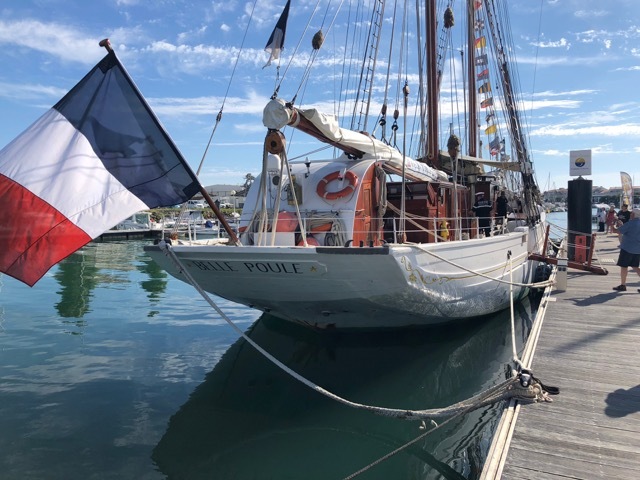 Puffin will be in Les Sables d’Olonne from Sunday morning onwards. your todays videos are identical with the videos I have got with the claim correspondance dated 02.06.2018. May I please ask you in which way you, Istvan respectively, did fine tuning on the windpilot resulting in your final comment that it seems to be functioning properly? Please understand my distinct question: did you, Istvan respectively re-assembled the wheel coupling in the way back you have received it factory fitted? 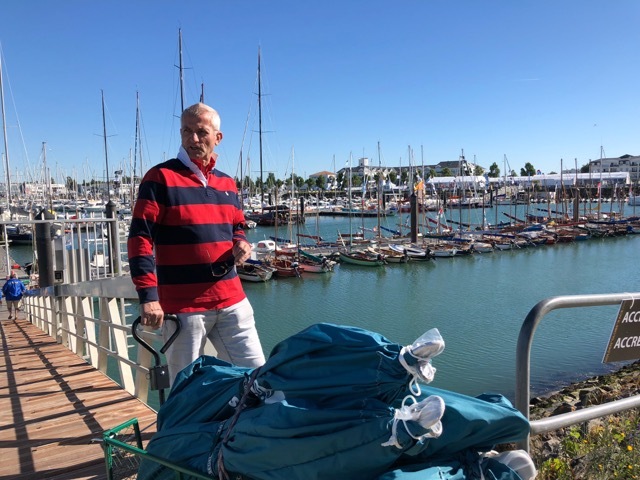 Visiting Istvan in Les Sables, I soon discovered a big problem with the mounting of the wheel adaptor: six protruding bolts in the casting have to be sawn off and a hacksaw is included with the delivery pack for this purpose, but this step had been overlooked. 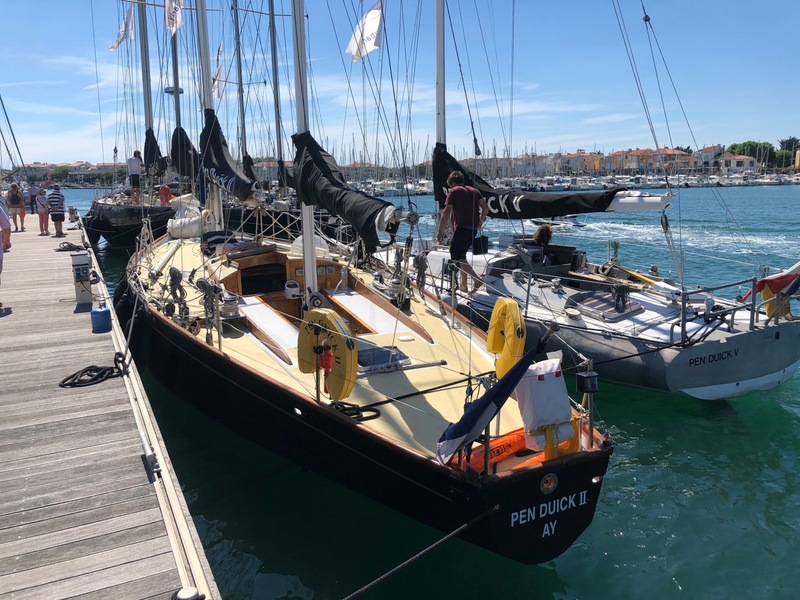 I was expecting that we would be able to correct this straight away, so it was quite a surprise to be assured that the system had been working better on the leg from Southampton to Les Sables! 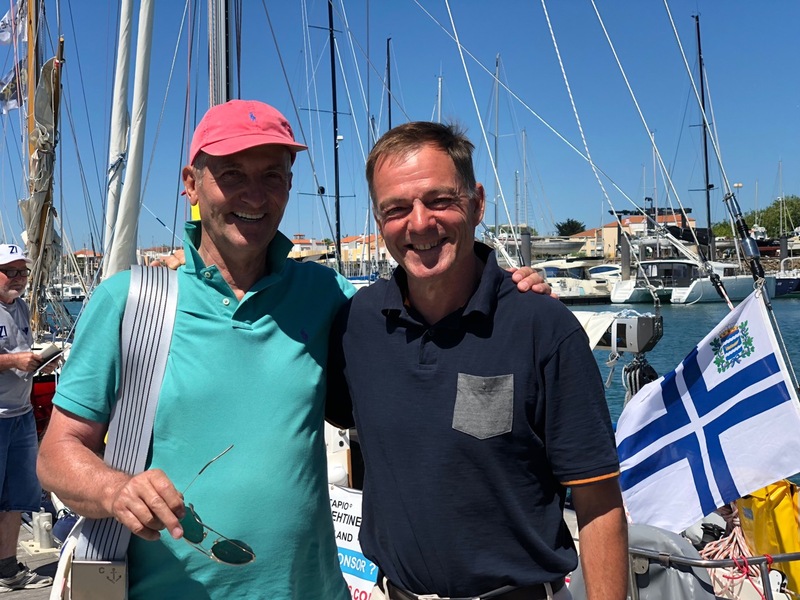 During our second week in Les Sables I was invited to join Istvan on a short sail intended to provide some photo opportunities for the press. The Windpilot had the helm, but there was hardly a breath of air. Istvan’s wife Eva, Vili and I were confined below deck so that the press could capture their photos and videos of the solo sailor in action. And then we motored back to the dock. 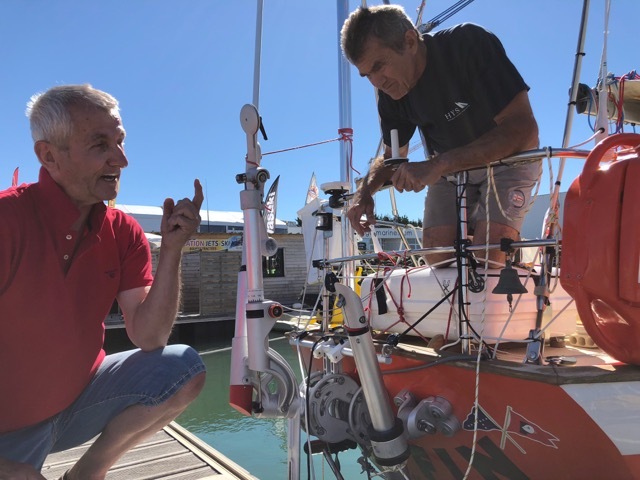 Imagine my astonishment when Istvan mentioned, during a podcast interview with the organiser after the start, that his boat had an unusual wheel steering system and that he suspected this lay at the root of his difficulties. Why had I not heard of this before? There is a definite limit to what I can achieve when a boat has special features or attributes to which I am not privy. If, for example, a wheel steering system is inherently unsuitable for use with windvane self-steering due to design, age or technical characteristics (too much play, too stiff or force transmission too direct, for instance), I am reliant on the owner to flag this up so that we can work together to create a harmonious combination of windvane and wheel steering systems (think transfer ratios) or arrange transmission lines to the emergency tiller. Igor Zaretskiy replaced Esmeralda’s ancient wheel steering contraption with a modern system with just this in mind. As it happens, the Tradewind 35 is a boat I know well having equipped a number of them over the decades. I would have noticed Puffin’s problem myself on sailing the boat, but it would only really show itself at higher boatspeeds, when the pressure of the water flowing past the unbalanced rudder – and the steering force required to counter it through the direct wheel steering system – will increase exponentially. 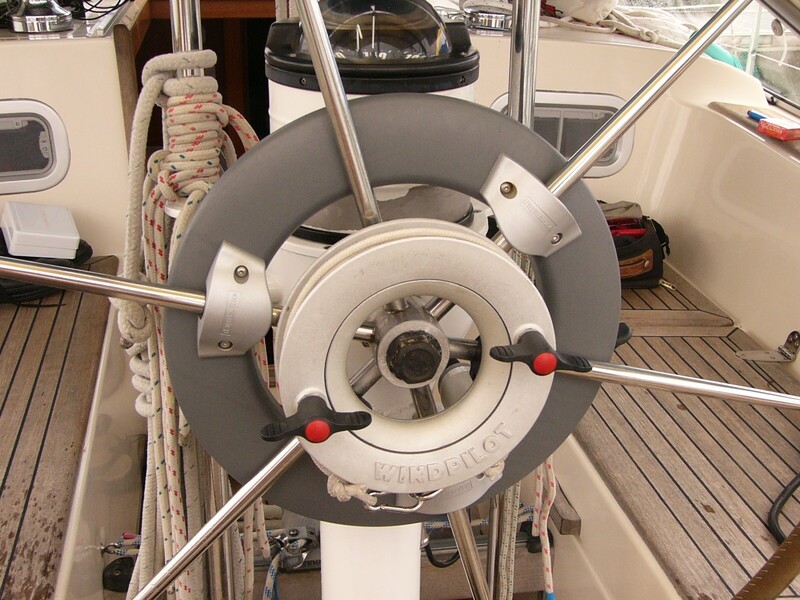 The Tradewind usually has an indirect steering system providing substantial mechanical advantage, but Puffin’s appears to have been sacrificed to increase the storage space available without a full appreciation of the consequences (and without tipping off the manufacturer of the boat’s Windpilot unit). The GGR makes a very different (and to my mind thoroughly unappetising) proposition for a boat with this particular steering configuration. Part of the art of yacht design is to reduce the steering force required to the extent that something weighing several tonnes or more can be kept on course without excessive exertion by all but the smallest members of the family. Matching the steering system to the boat (transmission, tiller or wheel, rudder shape and size, extent to which rudder is balanced, etc.) takes expertise and experience and anyone overruling the designer without at least an equivalent level of expertise and experience does so at their peril. Reports suggest that ordinarily sailors generally consider a boat to have excessive weather helm if the force they have to apply through the tiller or wheel exceeds the equivalent of about 8 kg. Every windvane self-steering system in the world operates on the basis of the typical ratios and average force ranges involved in controlling the wheel or tiller. All of our wheel adaptors have a similar diameter in the order of 20 cm or so, for example. This gives them 10 cm of leverage, which has proved adequate over the decades to steer thousands of boats up to 60 feet in length. The changes made to Puffin effectively rule out servo-pendulum systems full stop, because the mechanical advantage required to cope with the forces associated with an unbalanced main rudder has been lost. Imagine trying to drive up a hill in fourth gear because first to third have been removed. I believe this is the situation on Puffin. Any unusual features of Istvan’s steering system would quickly have become obvious if we had had a chance to sail the boat together, but there was no time for such luxuries with so many other technical problems to be addressed and repeated failures to obtain the organiser’s Green Card (permission to start the race, in other words) bringing stress levels on board close to boiling point. 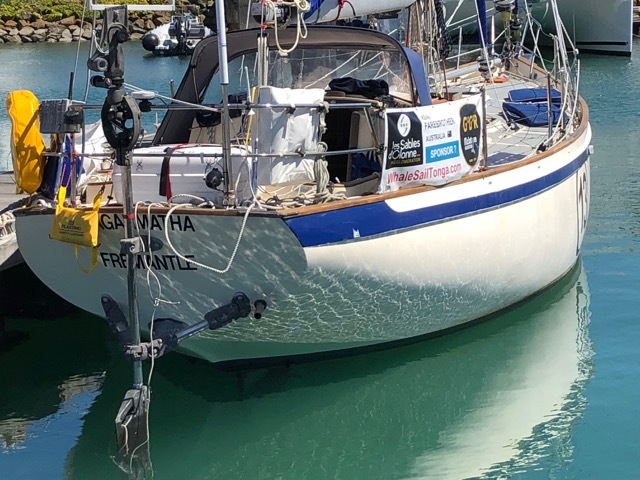 Istvan even managed to keep it together when told by the organiser that he would have to pump out the fuel tanks in the keel (to verify the amount of fuel carried), but I think it must have been a very close-run thing. The videos from Lanzarote show the rudder blade angled much too far forwards, which would tend to make the pendulum rudder control the windvane rather than the other way around. 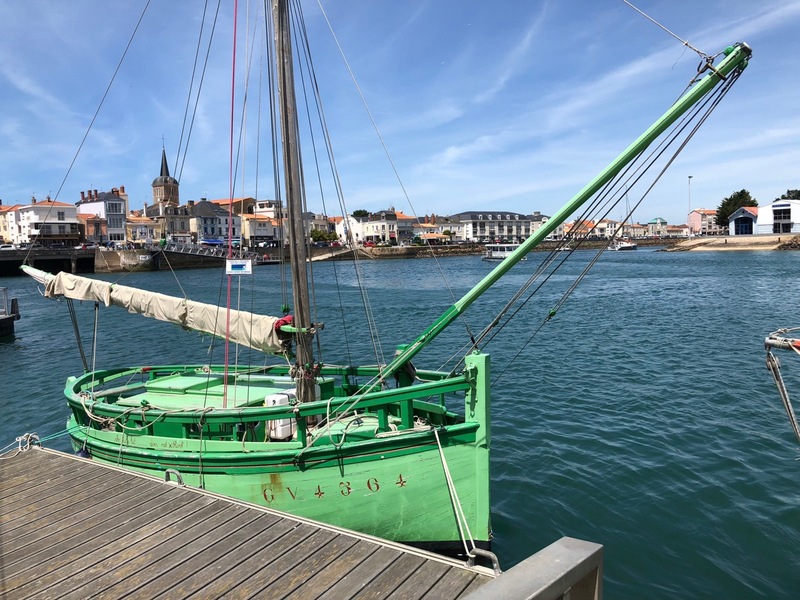 The manual does explain the sensitivity and importance of rudder alignment in some detail and we certainly ensured the rudder was lined up just right before we left Les Sables. It is immensely frustrating to be able to see issues like this – and their consequences – and not be able to do anything (more) about it, but with the restrictions on communication imposed to preserve the authenticity of the race, that’s how it is. 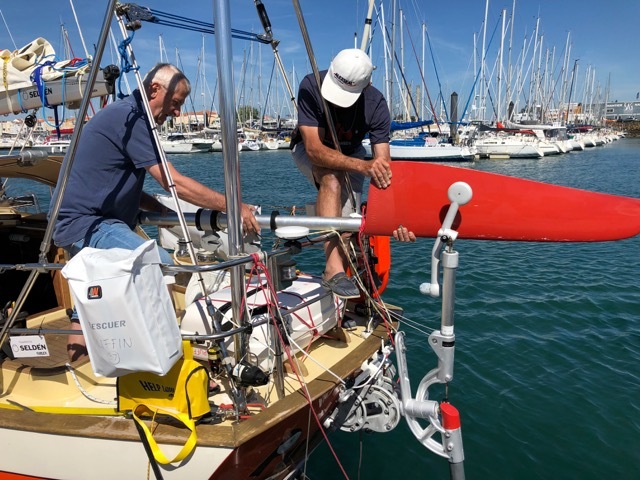 Uku and Ertan both have two different windvane self-steering systems installed and ready to go. 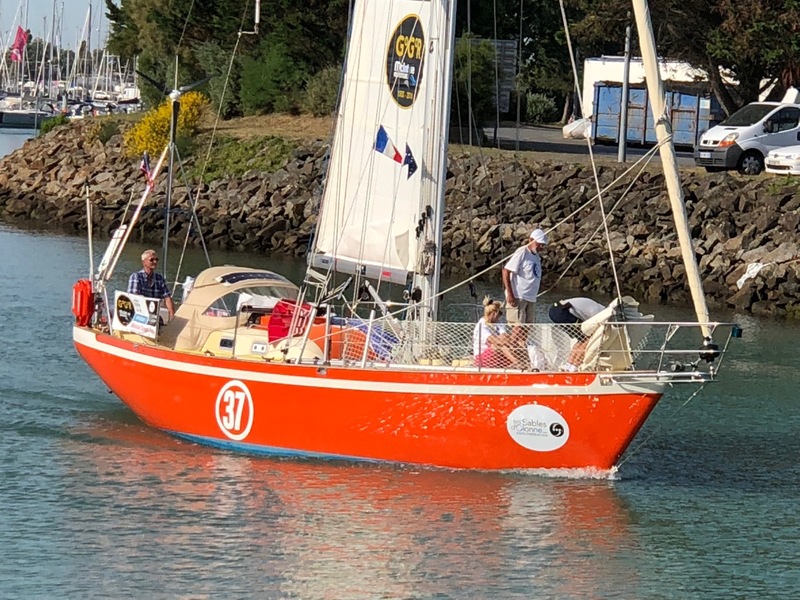 I suspect few of their fellow GGR participants have two complete systems available though; in fact it is probably only those sporting a Windpilot who have an entire spare system on board. We decided to give our sailors a complete backup system to reduce the risk of them having to steer manually all the time in the higher latitudes. If any of them were to suffer a system failure, they could quickly replace the damaged unit with the new one (a two-bolt job) even at sea. 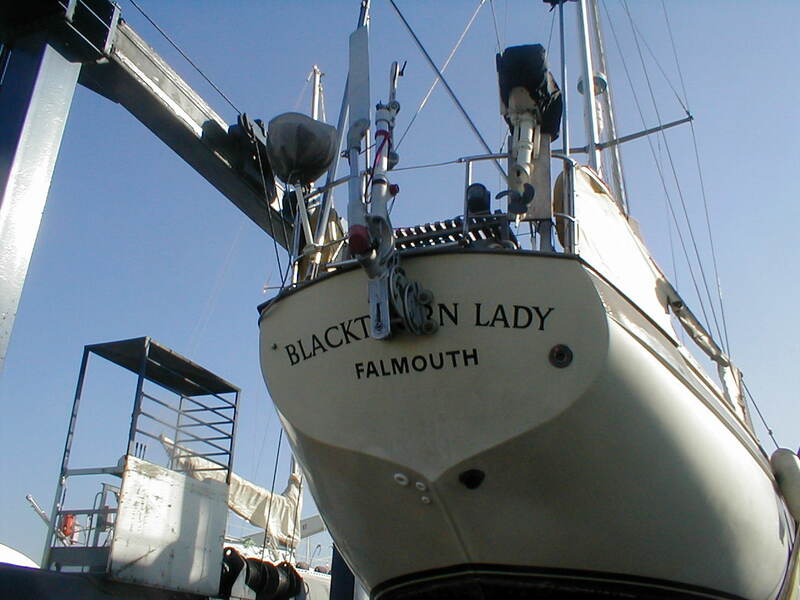 The damaged components could then be repaired or replaced in peace below deck, using the substantial spare parts kit we have provided, to restore the unit to full functionality. The boats with wheel steering also received a complete wheel adaptor unit plus spare friction pads and all of the components required to set up transmission lines to the emergency tiller if need be. 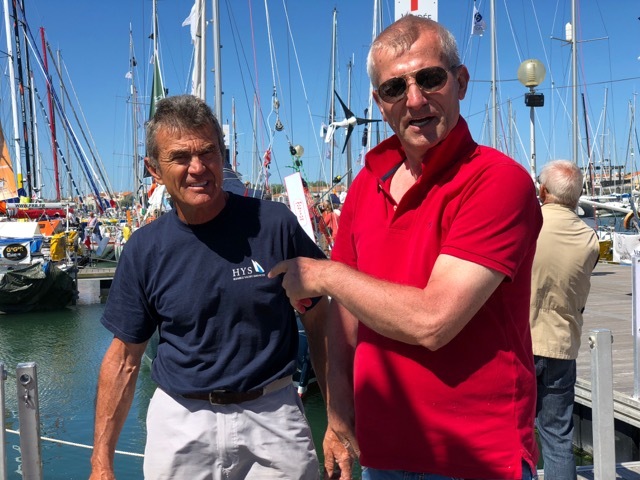 The upshot of our belt and braces approach was that every one of our sailors left Les Sables with multiple backups for his Windpilot system. Serial circumnavigator Wilfried Erdmann writes that he always had a complete Aries stowed in the forepeak on his non-stop laps just in case (a complete Aries that I later discovered had been passed on to him by Schippi, an old sailing friend from Kiel, who found it surplus to requirements when she started a new life in British Columbia). 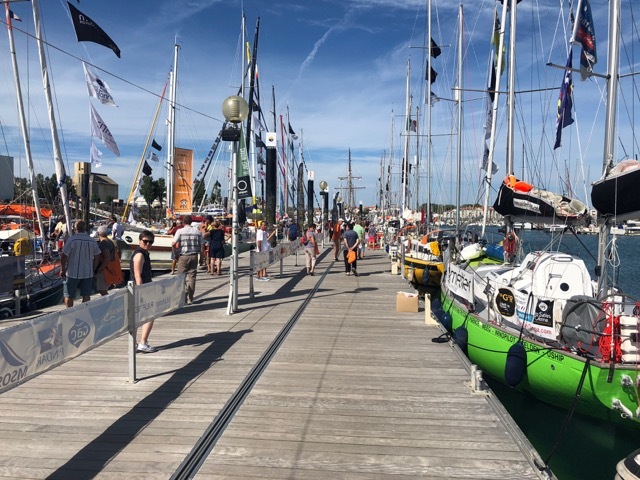 I completely understand the disappointment sailors having to stop so early in the race must feel, especially given the monumental effort every one of them has had to put in even to make the start, but some of their comments, released to the world by the organiser, are nevertheless very hard to swallow. 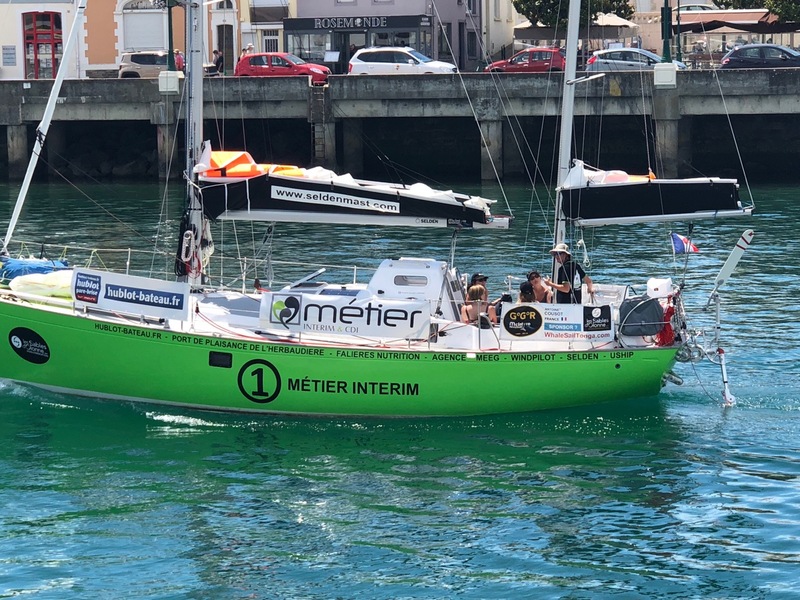 What are we to think when the skipper reports steering by hand with no sleep “for the last 35 hours” and the tracker shows a steady course straight towards the hostile shore of Lanzarote followed by an abrupt turn into safer waters? Taking the tracker data at face value, it is not difficult to image a tired skipper sleeping soundly while the diligent but unthinking self-steering system eats up the miles and then waking in the nick of time to save the day with a sudden gybe away from the rocks. Either way, it seems rather unjust to blame the steering slave for this bad course (especially as any experienced sailor is likely to be able to join the dots very quickly). 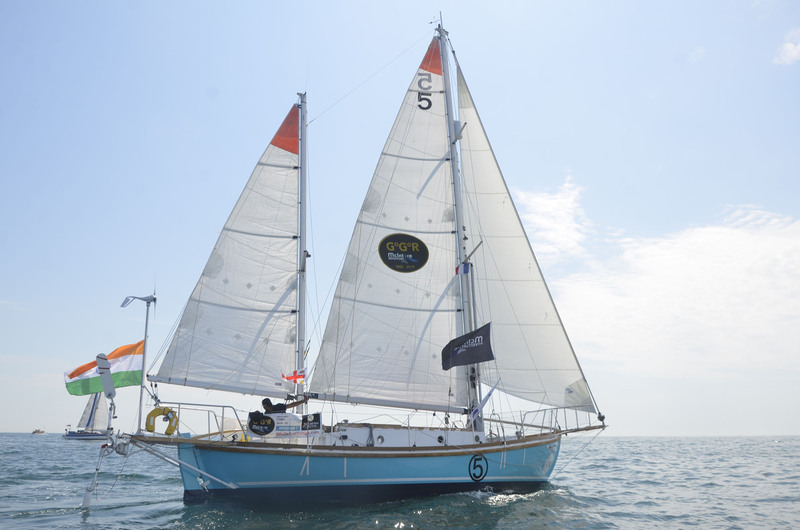 The statements made later on in the interview about the windvane self-steering system on the transom also strike me as rather unfair to the system and to a sponsor who left no stone unturned in his efforts to help the sailor in question. Promises – gone with the wind! 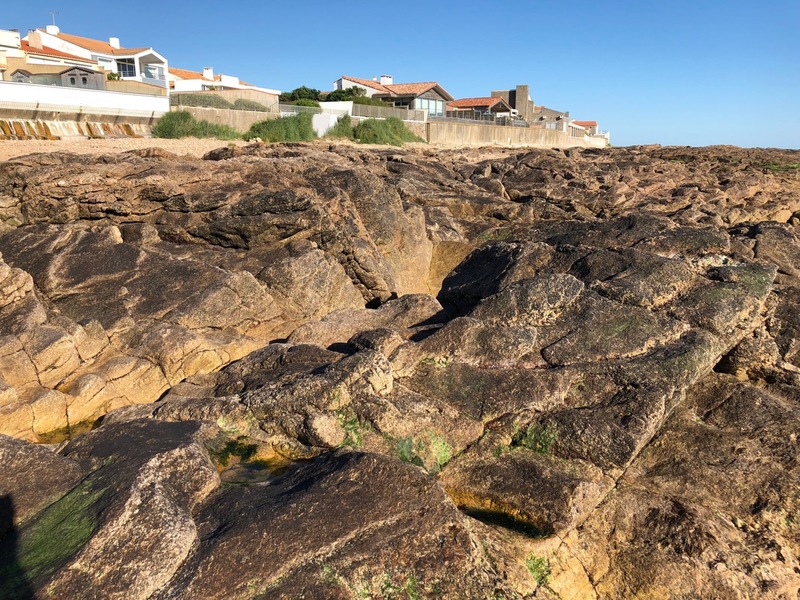 We were offered gratitude and the promise of friendship in Les Sables but a few days later off Lanzarote it was a very different story: with the race organiser’s cameras rolling, what came our way was a hail of blame. Clearly all is not well aboard Puffin, but having tried so very hard to help we are decidedly reluctant to accept that this is all down to Windpilot and feel compelled to fill in some of the missing information race followers need if they are to assess the situation accurately. Istvan wanted to win – an entirely understandable desire he shared with me two years ago. I’m not sure any of us imagined then that the GGR would attract a field bristling with fierce and fired-up competitors happy (or at least prepared) to steer manually for hours and days on end (aided, perhaps, by the odd pack of caffeine pills), to carry oversized sailplans for an extra edge on speed and even to spend extended periods rowing with giant oars when becalmed. Interestingly, quite a number of the sailors currently racing towards the front of the pack have lucrative sponsorship deals behind them. Is this a coincidence? 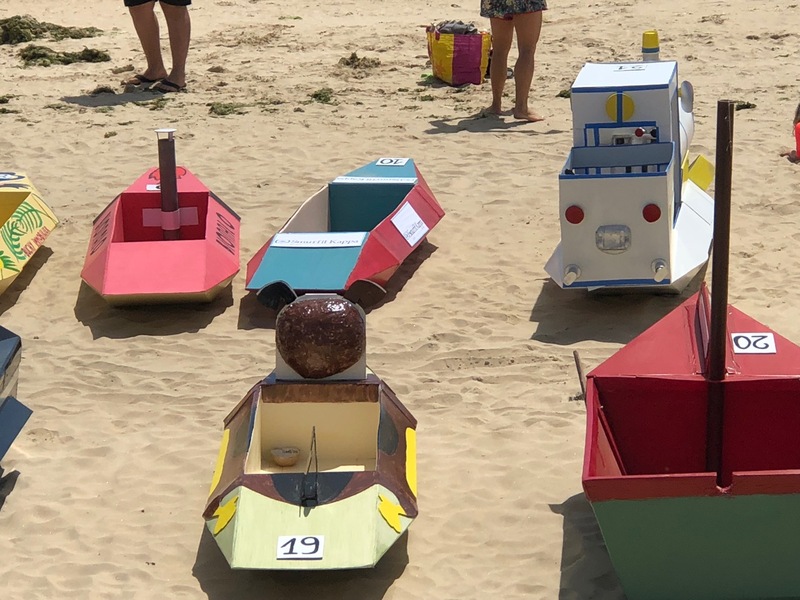 Pushing boats to their limits – even more traditional designs like these – with aggressive sail area and wind angle choices that put speed ahead of everything else makes them very difficult for a windvane self-steering system to handle. 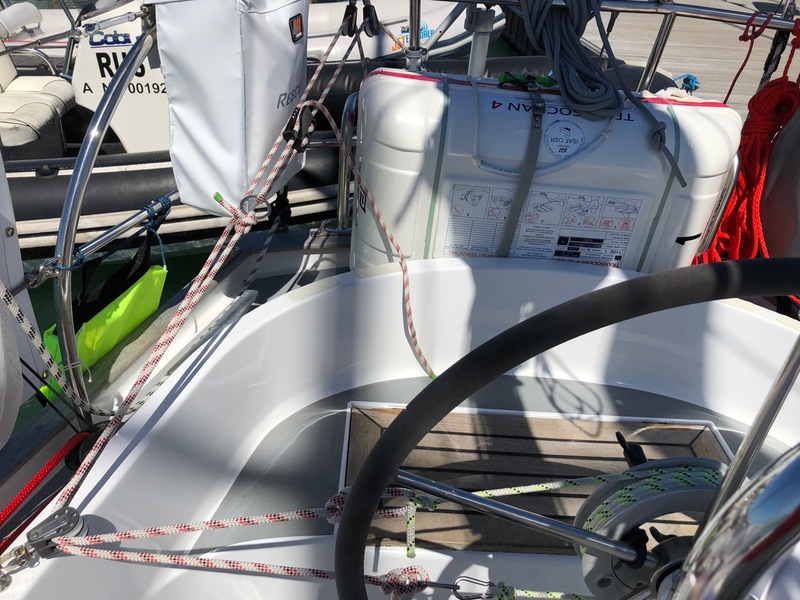 There is only so far the pendulum rudder can travel, only so far the system can turn the main rudder and if the trim of the boat demands more radical manoeuvres (and anticipation) at the helm, only manual steering can possibly deliver acceptable results. Marc John Sinclair was disarmingly frank about this in his recent interview (14.07.2018), stating quite openly that he didn’t enter the GGR to race. 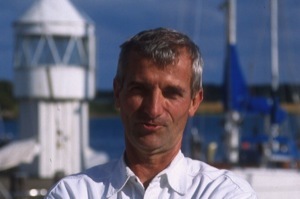 Dissatisfaction with his windvane system also seems to have played a role in the decision of Sinclair’s fellow Aussie, Kevin Farebrother, to withdraw from the race in Lanzarote, put his boat up for sale and fly home (interestingly, Kevin’s boat previously belonged to GGR organiser Don McIntyre, who fitted its Hydrovane). The precise reasons for Kevin’s retirement depend for some reason on whether you prefer your news in English or in French. Kevin Farebrother has officially retired from the #GGR2018and will not continue. 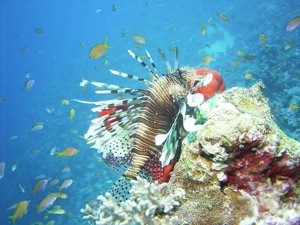 He has been frustrated over the past week unable to get into a routine and does not feel comfortable about continuing. He is planning to sell the boat and probably get back up into the mountains. He has no regrets about being involved with the #GGR2018 and loves all the emotion and freindships that came with that, but knows now it is not for him. WE will miss his dry Aussie humor for sure! !…With Antoine now Officially in the the CHICHESTER CLASS..there are just 14 GGR Entrants racing south. 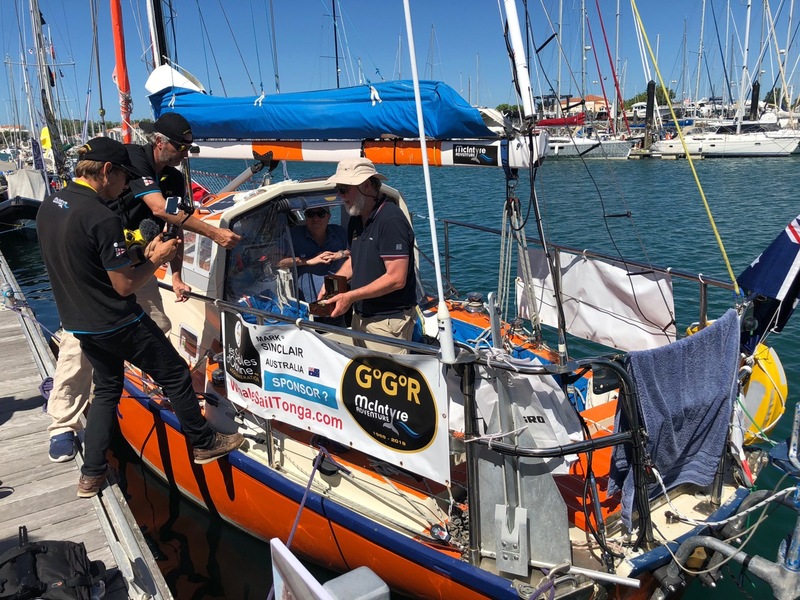 Last night (0200 CET, 16.07.2018), there was a text message on the GGR site suggesting that it was actually the silent helmsman from Hydrovane that was behind the disappointment. The next morning, however, there was no trace of any such message to be found online. 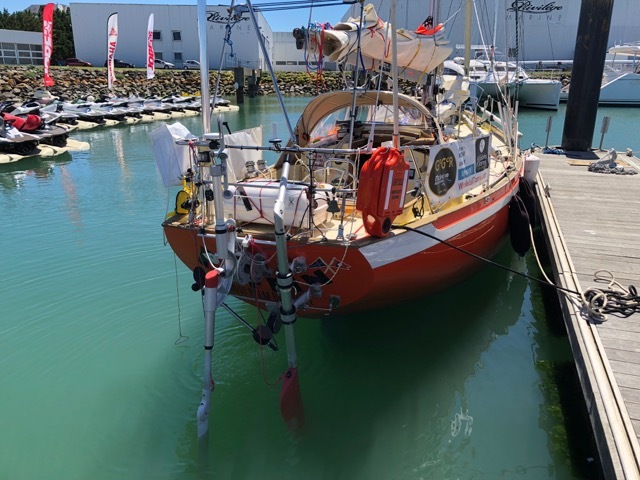 Recently (16.07.2018), Nabil Amra too reported problems with his Beaufort windvane self-steering system – in his case a broken weld had forced him to stop racing and try to make it back to the Canaries. 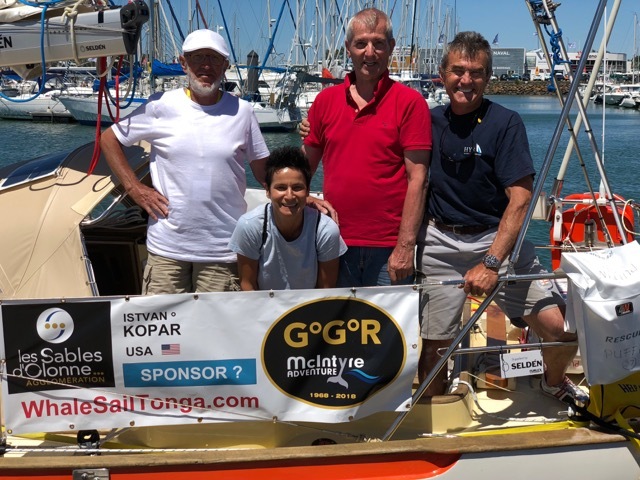 One thing that these problems and withdrawals have made very clear is that skippers without big sponsors to please have much more freedom to call time on their GGR adventure if they so wish. The decision and the responsibility are theirs alone (for examples look no further than Ertan Beskardes and Kevin Farebrother). None of the other competitors has so far shared any thoughts of stopping. I should have known better. Nothing disappears faster than words on the wind. 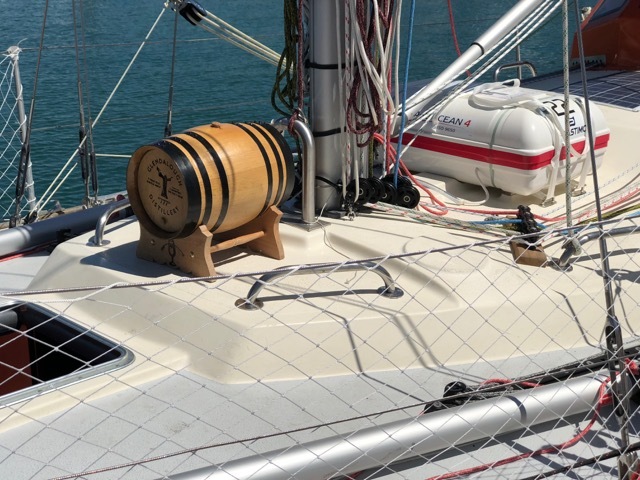 Favours, especially the kind of favours that help take the strain off a tight budget, are highly sought-after among sailors and only too gladly accepted. 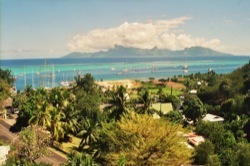 Twice in close succession recently I have had demonstrated to me just how easily two sailors can shrug off their responsibility to their sponsor – and even place the blame for shortcomings in their own planning squarely on his doorstep – without batting an eyelid, let alone acknowledging a measure of personal culpability. Some of the videos published are more intensely negative in their apportionment of blame than I would ever have thought possible. Message received loud and clear! Tempers are inevitably going to flare when the outcome of a voyage years in the planning ends up hanging by a thread after a few days at sea as a result of decisions that can no longer be reversed. Casting around for someone else to blame helps not at all in the long run: an objective assessment, I believe, is the best way to differentiate cause and effect. Hence this blog. Thinking about these various interrelated issues has led me to suspect a concealed and unintended conflict of interests at the heart of the GGR. 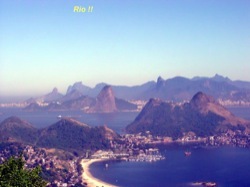 The financial involvement of large-scale sponsors, with their meticulous contracts regulating every detail of what they expect from their sponsored sailors in exchange for the support provided: are such rigid rules – backed ultimately by the threat of legal consequences – to keep everyone on message really good for the health of the race and its participants? An early retirement could quickly poison the atmosphere, ushering in the possibility of contractual penalties and repayment obligations. 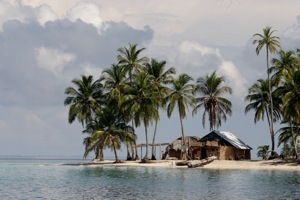 How heavily might such consequences weigh on the mind of a fatigued solo sailor faced with difficult decisions at sea? Returning to the case of Istvan Kopar, it seems entirely within the realms of possibility that his decision to sail on past the Canaries stemmed as much from the fear of disappointing – and inviting the legal wrath – of his sponsors as from his own determination to keep going. Sailors finding their options thus constrained by the sponsors they worked so hard to attract could well end up regarding the Southern Ocean as their best bet for an honourable resolution. Even without a functioning self-steering system if needs must. It is not a nice thought, but everyone involved with the event might do well to contemplate this unwanted issue of the law of unintended consequences. Agreements with sponsors providing assistance in kind are apparently much easier to cast aside, especially if publicly dumping the blame in their lap offers the skipper the chance not just of saving his skin but of saving face as well. We humans don’t take readily to acknowledging our own mistakes. Fight or flight? Who needs either when you can just offload the blame on someone else? 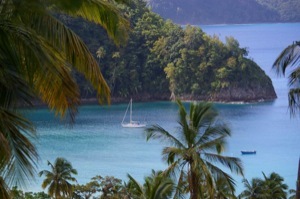 Sailors unconstrained by responsibilities to sponsors, on the other hand, can choose to remain in or retire from the adventure as they see fit without having to worry about further financial or contractual consequences. Ertan Beskardes and Kevin Farebrother have already shown the way here, doing what they judged to be best for them in their circumstances (I have noticed, by the way, that they were both using Hydrovane systems, but am resisting the temptation to draw any inferences from that fact). 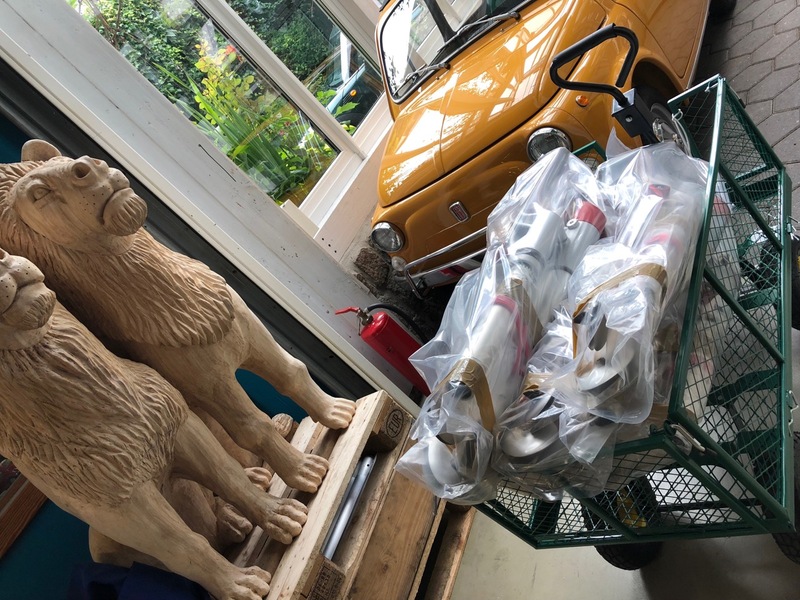 The GGR has put windvane self-steering system suppliers in the spotlight to an extent to which none of us is accustomed. And, it seems, made us prime fall guys. A few words launched into the public domain by one individual trying to cover his own back threaten to destroy the trust built up over years and years. Whether the event organiser ought perhaps to consider the longer-term ramifications of publicising such statements uttered in the heat of the moment (and there is reason to believe it might be) is a different question. I draw my strength from the global cruising community, which I have sought to serve for decades and which continues to repay me with the word of mouth recommendations and references that have made my brand what it is today. I will therefore do my best to rise above this particular storm in a teacup, taking what I can from it and trying to avoid any major sense of humour failures along the way. It has little relevance outside of the cruising community anyway, especially in light of the increasingly obvious divergence between the current race and the original 1968 event from which it takes its name. Antoine has been in Lanzarote for 24 hours already as I write this, but as yet has not been in touch for help. I am amazed at the apparent insouciance that some of the competitors have shown when it came to install, fine tune and learn how to use their self steering devices. I would assume the first item on the mind of a single handler would be making sure his/hers self steering arrangements are working to his/hers content. 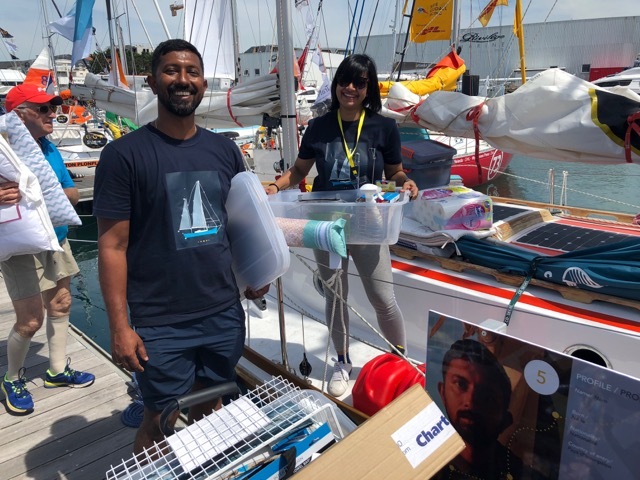 But maybe it is because I am just a normal sailor who does not have to juggle sponsors and have to show results, and making promotion pictures in the last days becomes more important them making sure things are in order. Also driving the boat to the limit becomes their only option, while I only drop my kindle ebook if the boat is threatening to stop. Another aspect that strikes me is the quite biased way of reporting the news. When reporting a problem, they usually say ” competitor x is having problems with his BRAND NAME self steering…”. It is very unusual to see this in official event press releases. 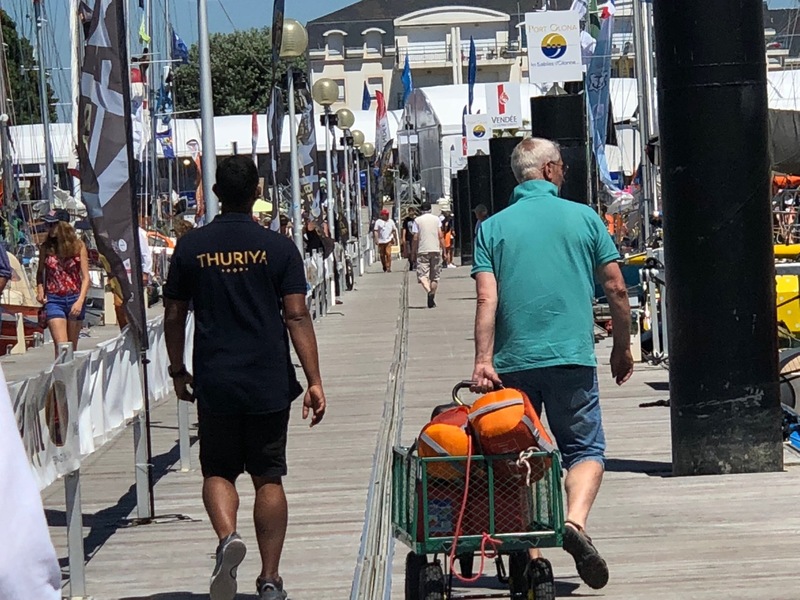 It is a bit like if when reading the official news on the Vendée Globe race you found ” competitor X broke his PROFURL main furler…” I never saw this kind of explicit mention of brand names, and it looks to me that there is an agenda behind this. 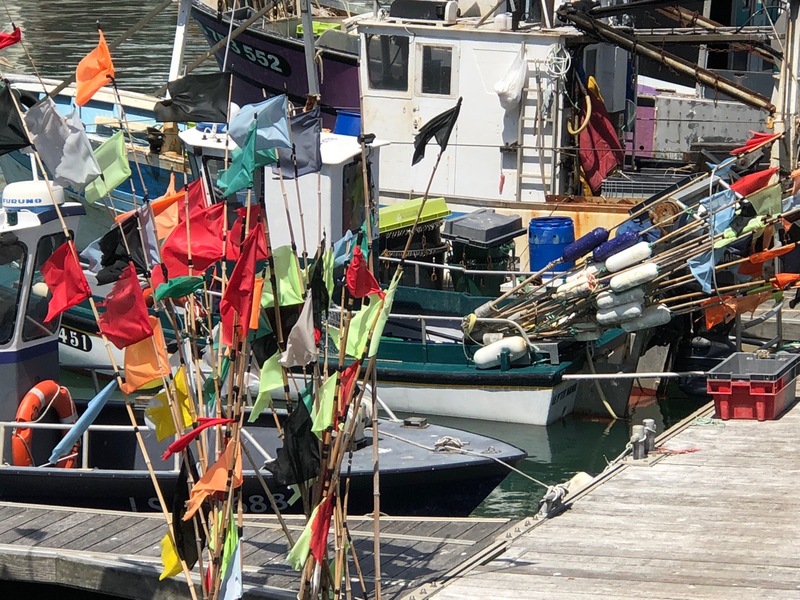 Being a Windpilot user myself, and having used other brands before, I see nothing in any of these boats that could not have been adapted or fine tuned to be well steered by the devices they are using. In the case of Istvan there was a hidden problem, which now came out, and it is the too direct transmission of his wheel steering, but even that could have been avoided if he had taken the proper time to analyse his difficulties.